Now that Lacey will be staying home with CJ and I until I return back to teaching in the Fall, it was important to me that she doesn't skip a beat in her learning as well. Each day we have about an hour of "school time". I say about an hour because it depends on how long she stays engaged in our activities. 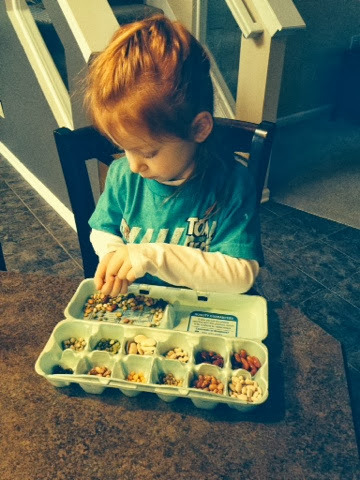 I'll try posting all the different activities we do for anyone needing ideas on Kindetgarten readiness skills. 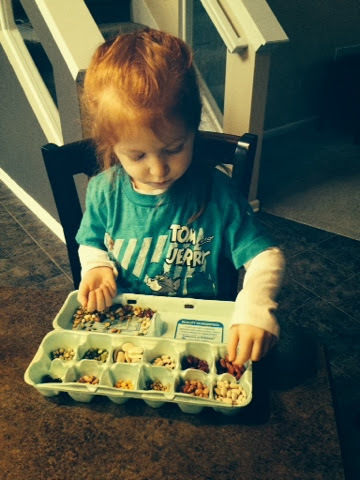 Lacey really studies each of the beans to notice any cracks or imperfections in them. The best part, she can eat them if she wants...extra protein and won't make her sick...but they don't taste the best! For her, there are so many different beans that it keeps her attention. We also make patterns out of the beans too. 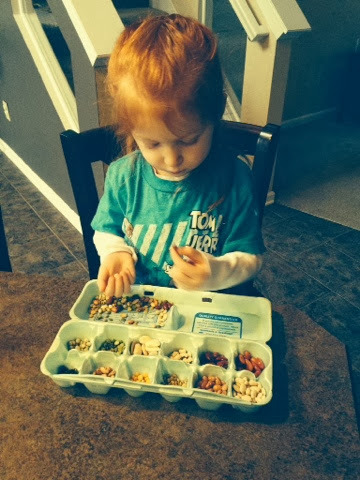 We could easily have an hour of "school time" just from these beans!